Optima Precision manufactures high-quality optics, specialized mechanical components, and instruments for use with laser diodes. 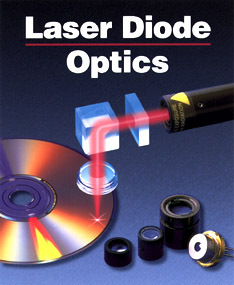 Optima also supplies laser diodes from the leading manufacturers i.e. Sanyo & Sony. Offering both aspheric and multi-element lenses, Optima lenses are specifically designed for collimating or focusing laser diodes. Lenses are available in either glass or plastic materials with a wide selection of focal lengths, numerical apertures, and mounting configurations. Cost effective for both OEM applications and/or R&D. Several different laser diode mounting kits are offered  these mounting systems provide an essential heat sink for the standard Ø5.6mm and Ø9mm laser diode and use Optima's proprietary laser diode optics. The LDM 3400 KIT has interchangeable apertures for beam shaping. 1. MINIMUM ORDER REQUIREMENTS: U.S. orders $100.00; International orders $200.00 USD. 2. TERMS OF PAYMENT: Credit card or prepayment for all new customers and first time orders. Net 30 Days for established customers in good standing (subject to credit approval and periodic review). Past due balances are subject to a late charge of 1.5% per month. Date of invoice establishes the start of the 30-day payment period. 3. CREDIT CARDS ACCEPTED: MasterCard, VISA, or American Express -- Please do not transmit your Credit Card numbers via e-mail, this is not a secure website! Please fax or telephone cardholders name, credit card number expiration date, security code, and the credit card billing address with zipcode. 4. INTERNATIONAL CUSTOMERS: All international orders are payable in advance. Prices shown are in U.S Dollars, checks shall be drawn on a major U.S. bank, all bank charges are at customer's expense. Letters of Credit are not acceptable. All international orders must have a minimum dollar value of $200.00 USD (not including banking and/or shipping charges). International orders under $500.00 must be purchased with a credit card (MasterCard, Visa, or American Express). 5. SHIPPING TERMS: F.O.B West Linn, Oregon, unless specified otherwise. Shipping costs are prepaid and added to the invoice. 6. PRICES: Subject to change without notice. 7. SPECIAL NOTE: Laser Diodes are NOT returnable -- be sure you are ordering the correct part. Orders may be placed by phone, fax, e-mail or regular mail. Please do not transmit your Credit Card numbers via e-mail, this is not a secure website! 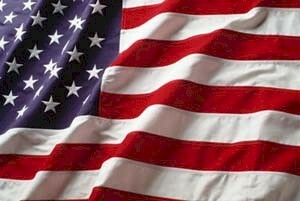 Postal address: 775 SW Long Farm Road, West Linn, Oregon 97068, U.S.A.